Paul McCreesh leads the Gabrieli Consort in a collection of English works composed either before 1558 or after 1915, responses all to medieval texts associated with the Virgin Mary. A conversation between Paul McCreesh, composer, conductor and organist Matthew Martin and conductor, broadcaster and lecturer, Jeremy Summerly. Jeremy Summerly: Perhaps because you spend so much time standing in front of orchestras, Paul, it seems clear to me that what motivates you most when you conduct choral music is your passion for text—not just the meaning, but also the sounds and colours of the words which the composer has set. Yet from the rich variety of texts associated with the Blessed Virgin Mary, and in spite of a wide range of repertoire, you’ve chosen here to record a programme that’s entirely settings of medieval words. And, as always, you seem very concerned that themes emerge through careful juxtapositions in programming. Matthew Martin: … and she is often portrayed as both profoundly beautiful and unattainable. As composers, many of us respond strongly to Marian-inspired pictorial art—not least the many images of Virgin and Child. Matthew Martin: … although to many people of course it’s not a mythology at all, more a central part of their belief. Paul McCreesh: Of course, but crucially, it’s those contradictions that fire the imagination of both believer and non-believer alike. Jeremy Summerly: You’ve recorded music written before 1558 and after 1915—you’ve left out mainstream repertoire entirely. 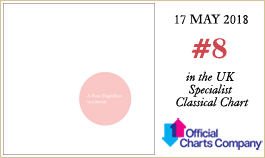 Paul McCreesh: There’s a connection in my mind between renaissance music and much of the best choral music of the 20th and 21st centuries—more than anything, a desire to rediscover polyphony. Matthew Martin: But isn’t there a modal connection as well? If you listen to Howells’s Salve regina, for instance, there’s certainly some chromatic colour, but there’s also a link to plainchant and modal harmony. Paul McCreesh: And it’s remarkable how 20th-century British composers were not just exploring the music of the Renaissance, and earlier, but also rediscovering the beauty of medieval words. Jeremy Summerly: Indeed, perhaps a sort of nostalgia, but all of the music that you’ve chosen to record is in my opinion nostalgic. The modern music sets medieval texts, and the renaissance music is scaffolded on the orthodoxy of ancient plainchant. Paul McCreesh: But I don’t think any of it, new or old, is nostalgic in the sense of recreating something from the past. I think it’s all using material from the past to create something new for its own time. Matthew Martin: Is there any Marian music that isn’t nostalgic? Paul McCreesh: Yes … that’s interesting. Maybe there’s a side of me that looks back, and perhaps yearns for the beauty of a world defined by theism. I often wonder if the current popularity of early sacred music is a subliminal desire to recreate the illusion of a world where almost all people did believe. Jeremy Summerly: Apart from the MacMillan, you’ve chosen English music where there’s very little Continental influence, if any. It’s all about an insularity of style. Matthew Martin: I’m not sure that my piece sounds particularly English. Jeremy Summerly: Oh yes, it does! Matthew Martin: That never occurred to me. Jeremy Summerly: Although you might not be aware of A Rose Magnificat’s Englishness right at the start. Matthew Martin: No, the start is Stravinskian to my ears (in fact, I threw away my original opening). Apart from Stravinsky, I hear an influence of the Far East, where I’d been touring immediately before sitting down to write A Rose Magnificat. Jeremy Summerly: But as soon as you reach the words ‘Res miranda’ it’s very clear where we are, culturally. And it’s surely not the Far East—or Russia, for that matter! Matthew Martin: There are certainly big moments of self-expression and nostalgia in the piece. And I’m not quite sure why those passages are there—it doesn’t always seem to be about the text. Some of it’s about me and how I’m feeling. Paul McCreesh: But isn’t that good? Otherwise all composers would respond to the same text in the same way. In asking you to write the piece, I suggested to you it would be good to create a troped setting, juxtaposing two texts as in many of the amazing pieces from the Eton Choirbook. I loved the way your setting of Adam lay ybounden captured that mysterious medieval world, and I felt you would do great justice to another great English carol, There is no rose. Matthew Martin: Yes, the first verse of the carol just creeps in, but the piece seems to gather intensity as it proceeds. Thereafter, the polyphony becomes more and more complex and the colours richer. Paul McCreesh: There’s some gloriously purple harmony, but the beauty of it is that it’s the polyphonic lines which create the tension. Matthew Martin: It’s puzzling to me that some of today’s composers who claim to hark back to a polyphonic golden age don’t actually write polyphony. A lot of choral music these days is about creating a sound that represents the effect of a polyphonic sound world, without actually being polyphonic. Matthew Martin: … with the most extraordinary sonority. Jeremy Summerly: Wylkynson loves the sound of his own polyphony so much that some of the cadences are drawn out to inordinate lengths, almost as if the composer just can’t bear for the sound to stop. Jeremy Summerly: … one final turn of the kaleidoscope. Matthew, presumably you find it relatively easy to come up with musical ideas when you’ve been commissioned to write music for a group with a specific sound, outlook, and competence. Matthew Martin: I’m willing to admit that I don’t always find the process of starting a composition easy; but I’ll often sit down and force myself to write something. Once you’ve got anything at all—even just a few notes—then, if you have technique, you should be able to make something of it. Sometimes the simplest ideas can reap dividends: when the carol comes in, there are those ‘crushed’ 2nds which resolve downwards—that’s hardly a complex idea. And the ‘Fecit potentiam’ is actually just successive 4ths. Paul McCreesh: Yes, but you could say that most of the themes of Tchaikovsky’s ‘Pathétique’ Symphony are just scales; that doesn’t tell you why it’s a great piece of music. Matthew Martin: It’s how you structure the individual building blocks that matters. Paul McCreesh: … and Owain Park’s Ave maris stella is basically just scales, where a simple change of interval can determine where the harmony goes. These are clever pieces because they’re conceptually simple, but fascinating in the way in which they actually work. Jeremy Summerly: There’s a unanimity of ‘affect’ in the music that you’ve chosen here, Paul. But the 16th-century music enjoys spinning itself out (the Sheppard, Tallis and White are big pieces, and the Wylkynson is very large indeed), whereas the more modern music is often concise. In your piece, Matthew, just as you start to get used to a musical cell, it’s gone before it outstays its welcome. I think the later music on this recording often plays with compositional ideas, whereas the early music also plays generously with architecture and acoustical space. In the recording sessions, did the singers need time to readjust from, let’s say, the sweeping perpendicular architecture of Robert Wylkynson’s Salve regina to the postmodern simplicity of Jonathan Lane’s There is no rose? Paul McCreesh: That’s always the big thing for us. When we sing polyphony we perform mixed programmes, so there’s the intellectual challenge of understanding the difference in style between the early and the modern; but there’s also the emotional challenge of adopting a post-Romantic approach to the music of the 20th and 21st centuries, after a more objective approach to the earlier repertoire. But I do think that, when we’re on form, a mixed programme is what we do best—provided that I’ve thought carefully enough about the selection of music and the order of the items within a programme. Jeremy Summerly: Are we showing our age? Isn’t a ‘concept album’ a thing of the past? Matthew Martin: … and I’m delighted to have been involved in the process by contributing the piece that in the end concludes the programme. For so much of my composing life I’ve had serious constraints put upon me in terms of what I should and shouldn’t write, depending on the ability of the people for whom I’m writing. 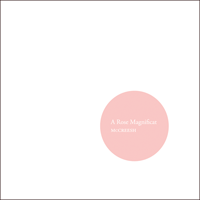 With A Rose Magnificat, I knew that I was composing music for 26 crack professional singers, so this was a different experience than normal. I wrote what I really wanted to write for the best choral forces I could imagine. Paul McCreesh: I asked you to challenge us, and you did; and more to the point, you wrote a piece which I feel suits us, and suits me. Matthew Martin: Well, I know how you conduct my music, and admire the particular sound of your choir, so of course to some extent it’s bespoke; indeed, I revised the ending in the hours between the première at St John’s, Smith Square in London and its second performance the next day in Winchester College, turning up in Hampshire with some new pages which I’d written overnight. Paul McCreesh: For me, this really has been a genuinely collaborative project. Matthew Martin: And probably the most engaging compositional experience that I have yet had. Matthew Martin studied at Magdalen College, Oxford and at the Royal Academy of Music and later with Marie-Claire Alain in Paris. He is Director of Music and a Fellow at Keble College, Oxford where he conducts the choir, teaches academic music, and runs the annual Keble Early Music Festival. Matthew’s music is published by Novello & Company Ltd.
Jeremy Summerly is Director of Music at St Peter’s College, Oxford and was previously Head of Academic Studies at the Royal Academy of Music. He is director of Oxford Camerata, which he founded in 1984, and he has worked as a presenter and contributor for BBC Radios 3 and 4 since 1992. He has conducted local groups in cities as far afield as San Francisco, Helsinki, Johannesburg and Tokyo.